The Burmese army, locally called Tatmadaw, is planning to relocate fighters of the NSCN-K group into designated camps like in India’s Nagaland state. Top military officials said that the NSCN-K’s main base at Ta Ga and other camps will be dismantled soon and some designated camps will be commissioned to lodge the armed cadre. The Tatmadaw will reportedly use pre-fabricated housing material for the designated camps. At the moment, after taking over Ta Ga without a fight, the Tatmadaw is taking stock of the NSCN-K’s strength and weaponry. The rebels will not surrender the weaponry but register its details with the army. The NSCN-K has a ceasefire going with the Myanmar government since 2012 which it has maintained despite reneging on the ceasefire with India in 2015. The group leaders have said they did not confront the Tatmadaw when it approached the Ta Ga base last week. The Tatmadaw later attacked an ULFA camp killing one guerilla and injuring several others near the Ta Ga base. A military official told local mediapersons that since the other Northeast rebel groups did not belong to Myanmar and were illegally staying in the country, the Tatmadaw was determined to forcibly evict them. 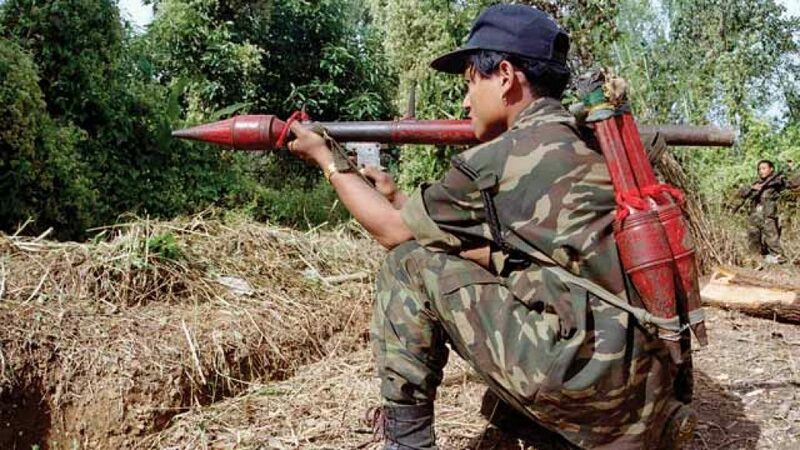 Sources in the Naga self-administered area say the ULFA and other Northeast rebel groups were on the run as the Tatmadaw is continuing counter insurgency operations around Ta Ga.
Winter is the right time for such operations in the remote Ta Ga area. Tatmadaw commanders have assured the Indian military officers that they will not allow Burmese soil to be used for anti-Indian activity. Military cooperation between the two countries is growing with India training Burmese officers for UN peacekeeping duties and some other combat and non-combat roles.